Personal information is collected by hoegaarden.org.uk. We collect personal information from you through the use of enquiry and registration forms and every time you e-mail us your details. We also collect information automatically about your visit to our site. The information obtained in this way, which includes demographic data and browsing patterns, is only used in aggregate form. If you do not wish to receive information about our services, please untick the appropriate box on any form you submit. In addition you may at anytime use our Contact Form to request removal from our databases. We may also disclose your information to partners and third party suppliers we engage to provide services which involve processing data on our behalf, successors in title to our website or in accordance with a properly executed court order. WE WILL NEVER PASS YOUR DATA ON TO A THIRD PARTY FOR THE USE OR MARKETING OR LEAD GENERATION. Given that the Internet is a global environment, using the Internet to collect and process personal data necessarily involves the transmission of data on an international basis. 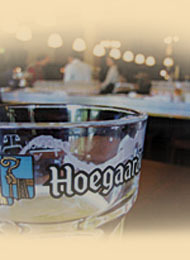 Therefore, by browsing the hoegaarden.org.uk's Site and communicating electronically with us you acknowledge and agree to our processing of personal data in this way. we adhere to the cookie directive. click here for more information regarding this European directive.